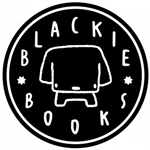 Blackie Books is an independent publishing house based in Barcelona. Soon after it was born in 2009, it became very popular among the industry and the audience for its catalogue selection —featuring memoir, politically committed essay and bold literature—, innovative marketing strategies and alternative ways of book promotion and advertising. Throughout the years, Blackie Books has published over 50 titles and achieved also a strong presence in the Latin American market. Keeping independence and audacity as the basis of its identity, Blackie Books aims at experiencing a sustainable and smart growth during the next year. Named after a beloved but deceased pet, Blackie Books is a surprisingly successful independent publisher of cult fiction, essay, memoir, and illustration. Blackie Books is so focused on making beautiful books, the firm won the 2011 Gràffica Prize, awarded by the eponymous Valencia-based design magazine.